Spelling Eight - Math Games: Fun! Eight is one of the more challenging numbers to spell. 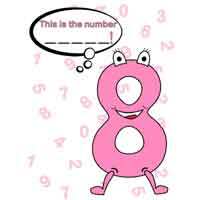 Help your youngster master this number by printing out this free PDF. Then work together to fill in the blank spaces and get practice spelling numbers.